Borrisoleigh Festival Committee would like to invite everyone to our Christmas event on this Sunday 4th December from 5.30pm on McDonagh Square. Festivities will commence with Christmas music with DJ Lorcan. We will have the launch of our shop local flyer promoting special offers & entertainment available in Borrisoleigh this Christmas. 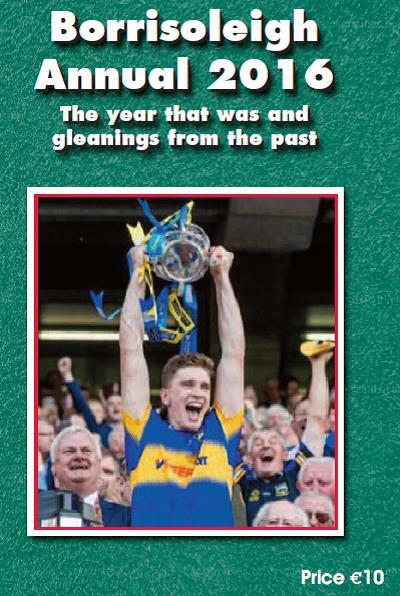 The Development Association will launch the Borrisoleigh Annual. Then our Special Guest will turn on the Christmas lights assisted by Patrice our lady Mayoress. Then you’d never know who might pop by if he gets time off from his busy Christmas schedule! Please refrain from parking on McDonagh square on Friday night Dec 2nd unless you can have your vehicle moved by 7am on Saturday morning. A lot of space is needed for unloading & putting up the Christmas tree on Saturday morning. Thanks in advance. 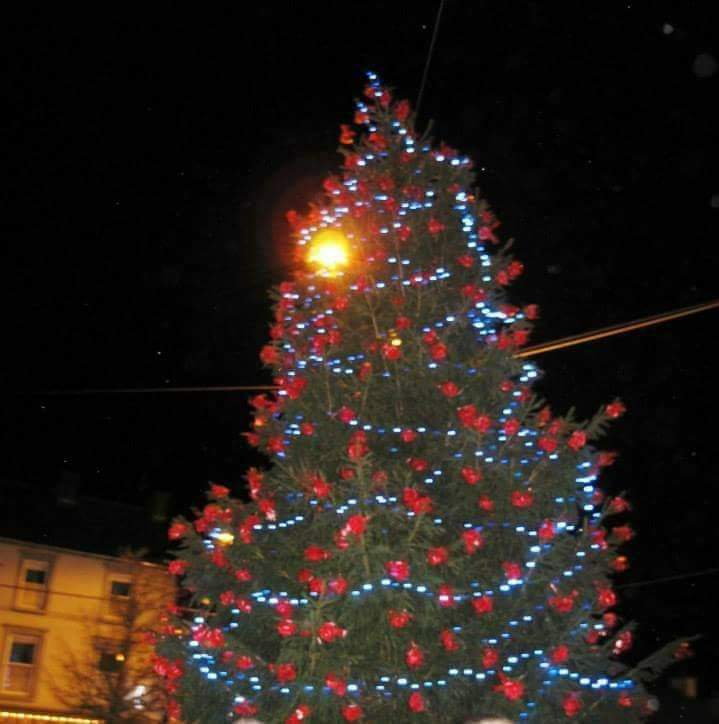 Borrisoleigh Community and Development Association is delighted to be able to announce that our Annual will once again be launched and available to buy at the turning on of the Christmas lights in the square on the 4th December from 5.30 pm onwards. 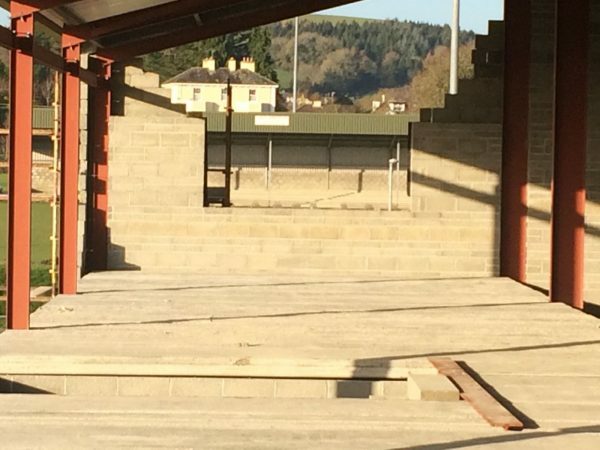 We would also like to sincerely thank all the individuals and groups who submitted articles and/or photos for this years annual, the local shops for selling the annuals and those who purchase it every year. We hope you all enjoy this year’s publication. 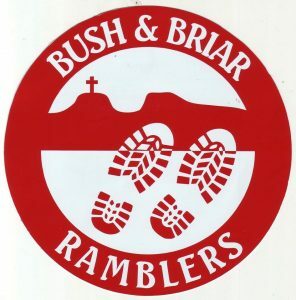 Bush & Briar are walking the Inch Loop every Tuesday evening at 7pm sharp until further notice. All welcome to join us, walk takes approx 1 hour. Boots, torch and hi-viz jacket essential. Ground can be uneven in places. Please contact Liam on 087-7622267 or Helen 087-6748147 for further details. The Christmas party for St Cualans Social Club Borrisoleigh will take place this Sun Dec 4. The day will start with Mass at 2 pm. This will be followed by Christmas Dinner with all the trimmings in the Community Centre. The evening will continue with music, song and dance provided by Phil and Johnny Maher and many local artists. Everybody is welcome to join in and support the day. It has been mentioned that Santa is going to take a break on Sun and come visit us. There will be lots of raffle/spot prizes. Cost is €20 which includes raffle tickets. 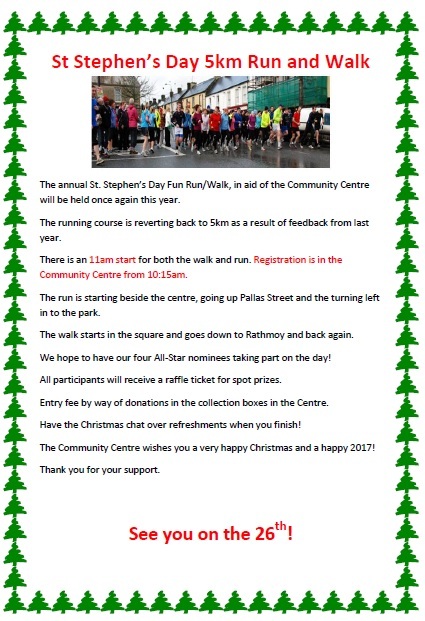 Names must be given to either Eileen Slattery 087 9849848 or Lucia Ryan 086 3961211 or any committee member by this Thursday Dec 1. We would like to thank everybody who supported our recent church gate collection. Your support is very much appreciated. Are you wanting to make your own Christmas Wreath? If so Jane’s Flower Cabin Borrisoleigh are holding a workshop on Wed Dec 7 @ 6.30 to 8.30pm and there are just a few places available. Contact 086 0579545 for more details. 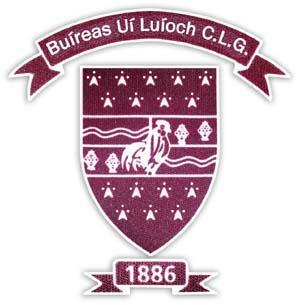 There is a group from the club going to see The Willoughby Brothers in Bru Boru Cashel on Sat Dec 10. There is one ticket available if anyone is interested in going. Contact Lucia 0863961211. This is the final reminder of the Christmas party in the Community Centre Borrisoleigh this Sun Dec 4th. The day will start with Mass at 2pm followed by Christmas Dinner with all the trimmings and music song and dance provided by Phil Maher and friends. We are hoping to have a visit from Santa. Please give names to either Eileen Slattery or Lucia Ryan if you are interested in going. 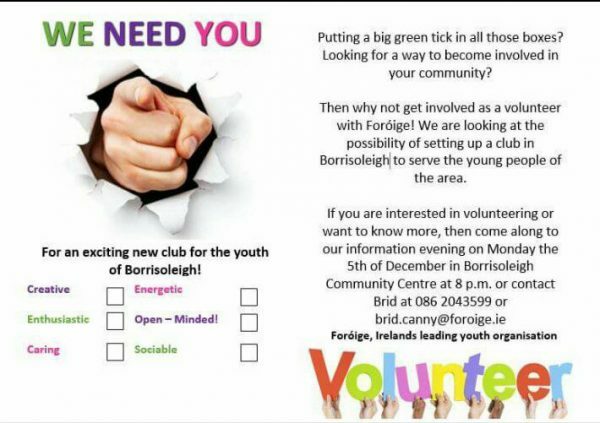 Foróige Information evening December 5th at 8pm in Borrisoleigh Community Centre. The Juventus team have qualified for the quarter finals of the Track-Attack Champions League as the top seeds after recording a final round robin victory over the Real Madrid team. The team led by Harry Gould were served best by the performances of Richie Tynan and David Skehan who were their scorers in chief on the night. In the quarter finals they will face Ben O’Donnell’s Barcelona team who have been the success story of the second half of the round robin section. After losing their opening 3 games, they recovered brilliantly to win their 3 remaining games. In their head to head with the Man City team, they outscored them thanks to the excellent performances recorded by Maura Carey, Orlando Maibach and Jeanette McInerney. Kara Young’s Bayern Munich team will face Nathan Hogg’s Celtic in the quarter finals. Bayern overcame the challenge of PSG last week after excellent PB’s by Teresa Murray and Seamus Devaney. The Celtic team suffered defeat last week but still had enough points accumulated to reach the knockout stages. Tom McGrath was their best performer on the night. Chloe Carroll has led her Napoli team to the quarter finals where they will face Kate Minogue’s Benfica team. Napoli’s Libby Slattery was their top scorer in their final round robin match against Arsenal. Benfica were the biggest winners last week. George Ryan, Marie Meaney and Karen Kinane were their ace performers in their victory over the Tottenham team. The fourth quarter final will be fought out between Will Cooney’s Porto team and Ella Ryan’s Monaco team. Porto defeated Celtic with top performances from Alan Kelly, Mary Rabbitte, Jack Galvin and Celia Dwan in particular. Monaco defeated Leicester with Suzanne Whyte their top scorer. Congratulations to staff and pupils of Scoil Naomh Cualán who awarded second place in the Tidy School’s Competition for the Templemore-Thurles Municipal District. Mrs. Ryan accepted the award on Thursday, 24th November in the Templemore Arms on behalf of the school. 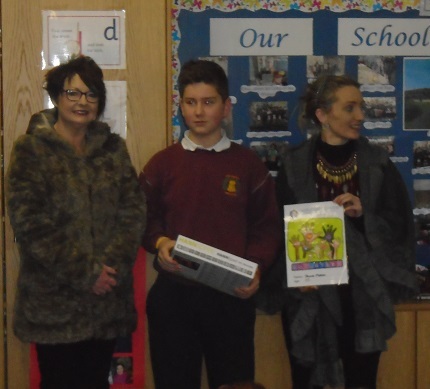 Congratulations to our very talented sixth class pupil, Shane Maher who recently came first in an Art competition organised by the Volunteer Centre in Cashel. He won a tablet as a prize. It is not the first time that Shane has amazed us with his outstanding talent. Well done Shane! 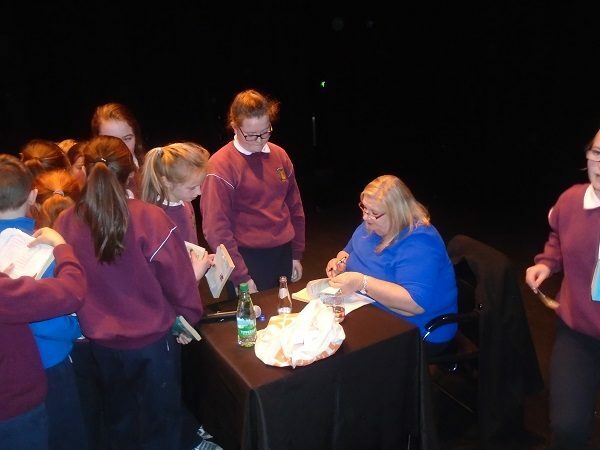 Children from 4th to 6th class travelled to the Source Theatre, in Thurles on Thursday, 24th of November to meet Marita Conlon-McKenna. Marita is one of Ireland’s best loved authors and her books are enjoyed by readers across the country. She gave the children a fascinating account of her life, her love of writing etc. She was extremely generous with her time and answered any questions which were asked of her. She also took the time to write personal notes to all children present on the day. It was a really memorable day, one which the children will never forget. 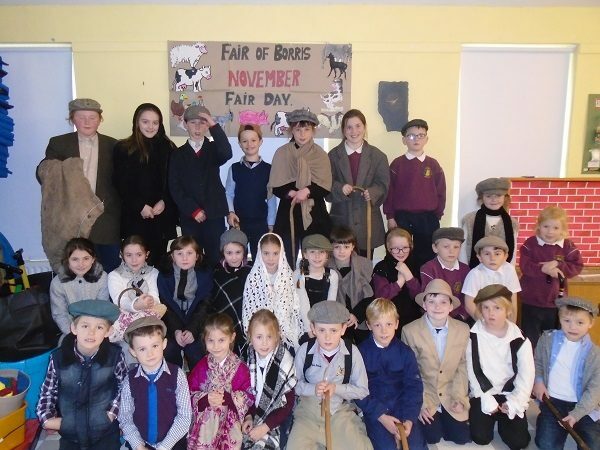 Following on the positive response from far and wide to our Scoil Naomh Cualán 2016 calendar, there was great excitement throughout the school as the children dressed up and thoroughly enjoyed the photoshoot day for our 2017 Calendar. Our new calendar gives a snapshot of the many ways in which the pupils of Scoil Naomh Cualán enjoy learning every day. 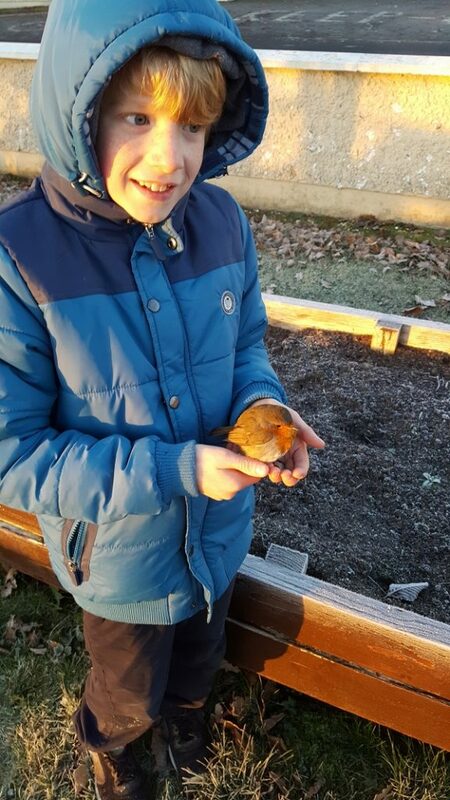 Each month features children engaging with a different aspect of the curriculum and a ‘thought for the month’ which will bring a smile to many a face during the coming year. If you are looking for a useful, affordable, unique and enjoyable Christmas present with a ‘Borris’ touch that will last throughout the year then you cannot go wrong with our 2017 calendar! 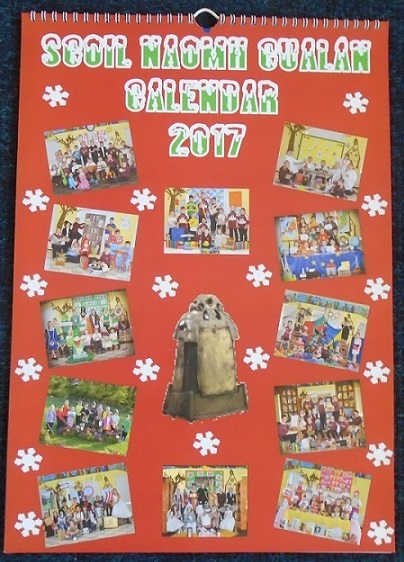 Our full colour quality calendars are available at €10 from the school reception (former GNS: 086 0233 023), from school staff or our Parents’ Association, from the Bothy and at the Christmas Lights Event on Sunday, December 4th. We would be very grateful for your support. Our annual church gate collection takes place this weekend. All contributions received are distributed within the local community. The AGM of Text Alert took place in the Marion Hall, Borrisoleigh on Wednesday 9th November. A good representation from the Parish were present on the night to hear two excellent guest speakers. Tom O’Dwyer, Crime Prevention Officer for Tipperary, gave invaluable insight into the latest technology on home security, door alarms etc. Should anyone, who was unable to be present on the night, require any information, please contact any of the officers, listed below. Cecelia for Citizen Information gave a very informative talk on Citizen Information Centres and explained how a member of the public can access the Service. She provided details on pensions, Senior Alert scheme support grants, legal issues etc. 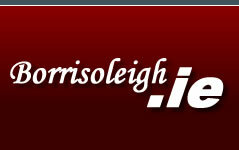 Contact number for Thurles Information Centre is 0761 07 6510. To date, we have 251 households and would welcome new members. Should you wish to join, you may do so by, contacting any of the officers or alternatively, you may pick up the leaflet in the local Post Office. Monday night 14th of November saw a good attendance at our monthly lecture. John Reynolds from Templemore presented to us on the ”Blessed well of Curraheen and the bleeding statues of Templemore”. We have another exciting lecture lined up for December that deals in further detail with the life of Brendan Bracken and his close connection to Borrisoleigh. We have also lately embarked on a project of documenting and mapping the headstones in Glenkeen graveyard. It is hoped that in time, a database of the memorials will be presented online that will become an invaluable resource to genealogists, historians and people who are tracing their family roots. 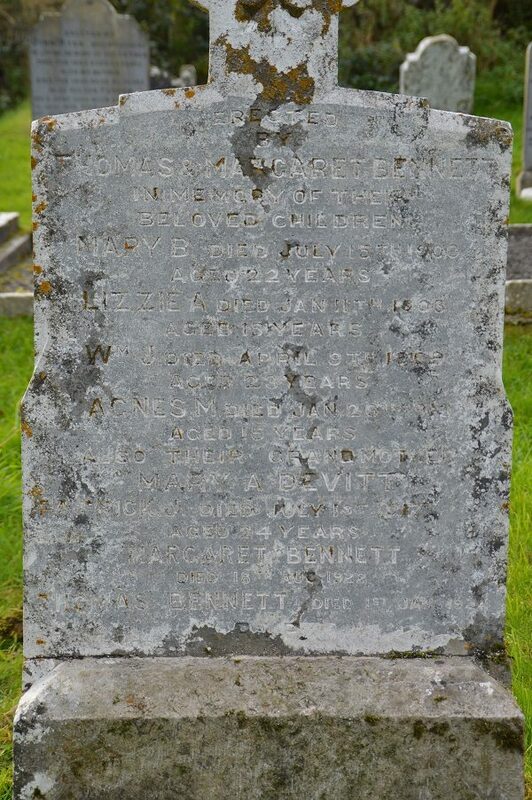 The headstone pictured below was erected by a Thomas Bennett to the memory of his wife and many of his children. The late Bill Connors from Rathmoyne was heard to relate the story, that while working for the County Council in the cemetery in the 1950’s, a woman came along who asked as to the location of the Bennett family headstone. She told Bill Connors that her father was an RIC constable who resided at the Ivy House in Chapel Street at the turn of the century and that the family were decimated by the scourge of TB. A quick search of the 1901 and 1911 census shows that in those ten years, six out of nine children had died. Of the three remaining, the youngest, Agnes Maude died in 1915 and the eldest boy, Patrick Joseph, contacted TB while serving in France during WW1 and died in 1919. A letter that he wrote to his father, who was a keen gardener, from the western front, in which he thanks him for growing fruit and vegetables to help feed the wounded soldiers returning from the war, makes for rather sad reading. The tragedy was to further continue onto Christmas of 1924 when Thomas Bennett himself, was reported missing from his home in Thurles. 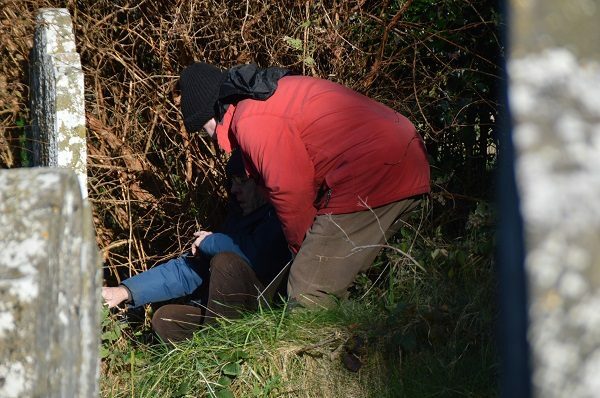 Two weeks later, his body was taken from the river Suir. The sole survivor, Georgina, the woman who entered Glenkeen graveyard on that day, is listed in the 1911 census as an assistant manageress in the Railway Hotel in Mullingar. While Glenkeen is home to the resting place of many people of national historical significance, it is also the resting place of many ordinary people and families who at one time contributed to the life and community fabric of Borrisoleigh. 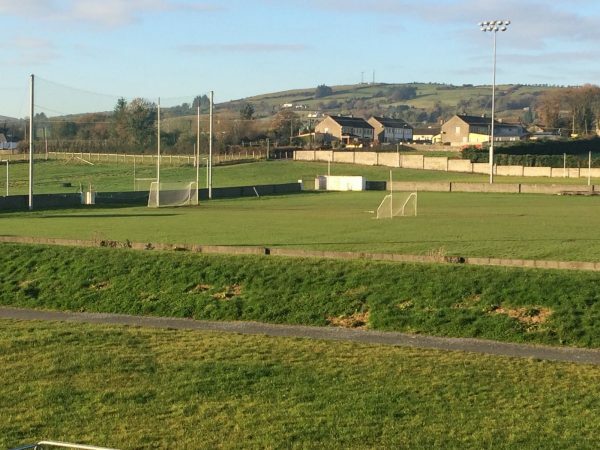 St Joseph’s College Borrisoleigh Transition Year Class in conjunction with the Active Social Club, Borrisoleigh welcome the people of Borrisoleigh to the opening of our TY Drop In Centre on Thursday December 1st at 2.30pm. All are welcome. Come and see what we’re about. 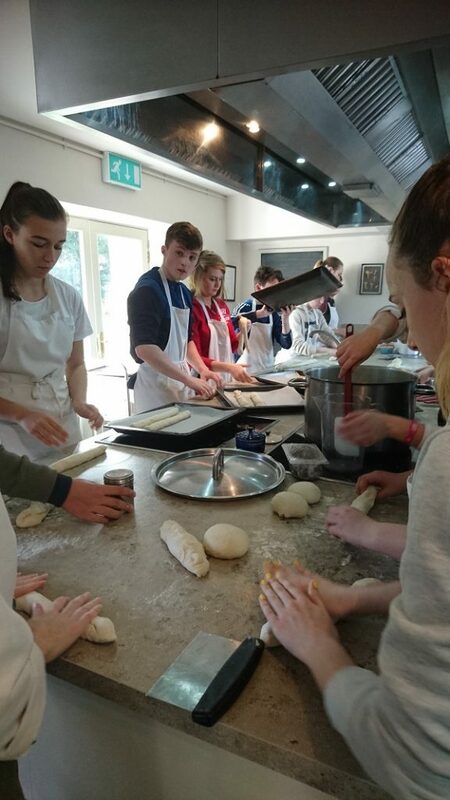 Our Transition Year students are taking part in “The Future is Food: Engaging Young Food Entrepreneurs programme” developed by the Taste Council in collaboration with Bord Bia. The Future is Food helps students to gain a better understanding of the Irish artisan food sector, as well as the wider food industry. 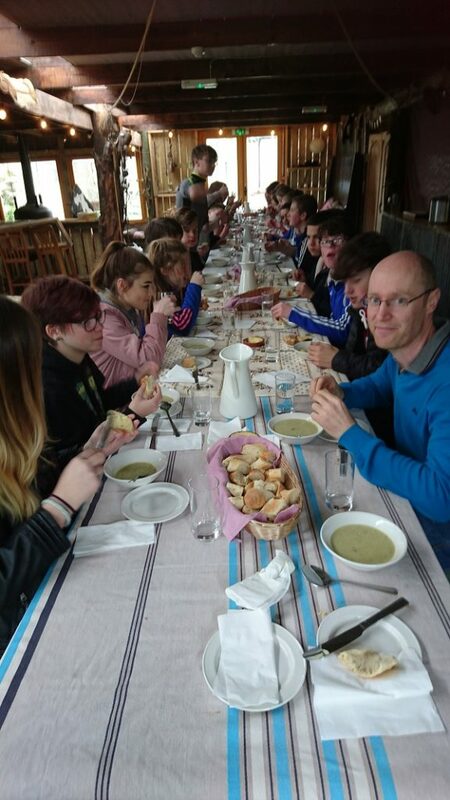 To support this programme the students visited Cloughjordan Cookery School recently. While there each student visited the fruit and vegetable gardens where they learned about various herbs and other crops and saw how produce is grown organically. They also collected ingredients for the kitchen. Later students prepared food using this produce. Here students learned some valuable food preparation skills including how to make yeast bread. A very important part of the day involved sitting down to all the lovely food we had harvested and prepared. It was a very enjoyable, informative and relaxing day for everyone. 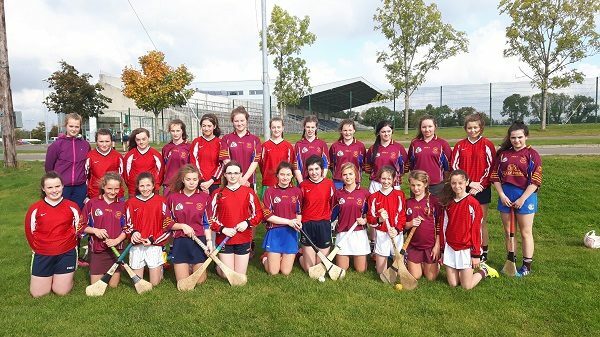 On the 17th of November, our junior camogie team travelled to Moneygall to take on Roscrea in the first round of the Munster Championship. The team hurled very well with an excellent goal from Aoife Ryan. But unfortunately, the bad weather conditions contributed to our downfall and we were unlucky to not come out on top. We look forward to our next match. Of course all of this great work has to be paid for. A large number of people have signed up to our €250 per year (for three years) fundraiser. However we still require more people to sign up so we can complete and pay for the project in the time frame we have set out. We appeal to all those who have promised to pay into it to contact their promoter and make the payment. We will also be calling around to houses in Borris on Wednesday night next to drop off leaflets about making payments. 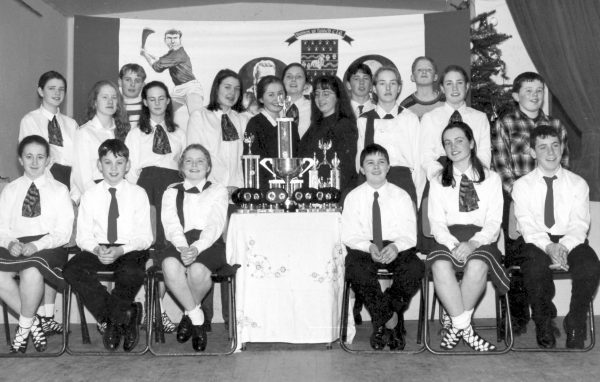 Back: Sinead Stapleton, Helen Carroll, Eoin Stapleton, Carol Bradshaw, Nuala Stapleton, Elain Kenny, Lorraine O Dwyer, …., Declan Maher, Michelle Maher, Vincent Stapleton, Maria Ryan and … O Regan.